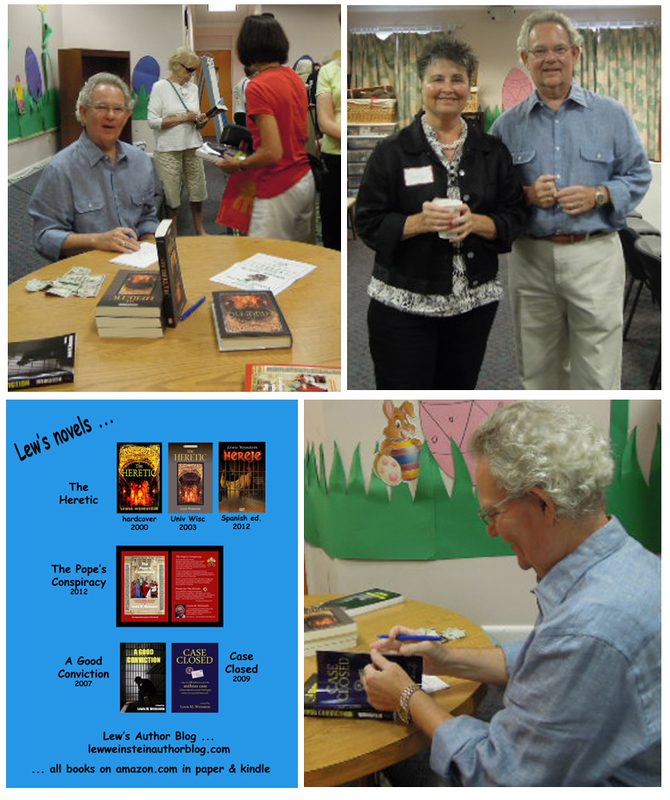 As part of the Key West Library Cafe Con Libros author series, Lew spoke to a full house of 56 readers. He spoke mainly about his two historical novels, The Heretic (2000) and The Pope’s Conspiracy (just published), and also mentioned briefly A Good Conviction (2006) and Case Closed (2009). This entry was posted on March 30, 2012 at 8:21 am	and is filed under *** appearances & news. Tagged: * THE POPE'S CONSPIRACY, Algaida Editores, Key West Library Cafe Con Libros, The Heretic. You can follow any responses to this entry through the RSS 2.0 feed. You can leave a response, or trackback from your own site.